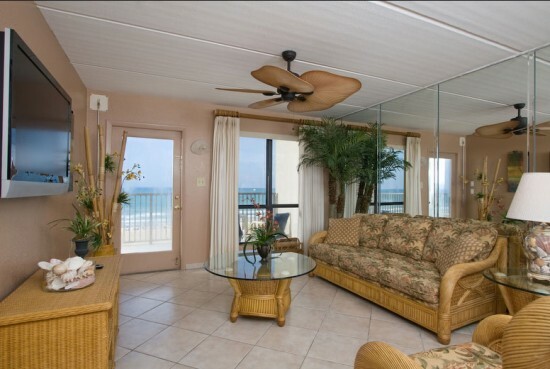 The Luxurious “Summit” Beachfront Condo offers 2 Bedrooms, (Sleeps up to 8) 2 Full Baths, 2 Pools, Hot Tub, Large Balcony, Full Size-Fully Equipped Kitchen, LCD TVs, DVD-CD, Wi-Fi, X-Box 360 and a Good Deal More! The “Summit” is located on the seventh floor where the style of Casual Elegance and Luxury collide to create the Perfect Vacation Home! The vast scenery offered from this 7th story balcony begins with the soft morning sun rise, waves tickling the sandy beaches, colorful sunsets and moon lit nights. The Master Bedroom of the “Summit” offers expansive windows and a living room that overlooks both the pool and the beach. The guest bedroom offers views of the Laguna Madre Bay. The “Summit” was recently remodeled with new tile floors, mirrored walls, rattan furnishings and the subtle décor of seashells and aquatic life. With this beautiful interior, stunning views, and easy beach access, the “Summit” is the setting for anyone’s Dream Vacation!